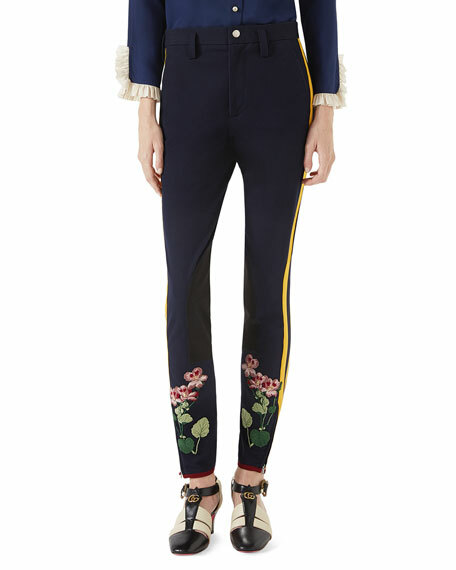 Pants with ribbon details on sides and multicolor ramage embroideries at hem. Embroidered floral appliqué at legs. Patch detail on inside of leg. 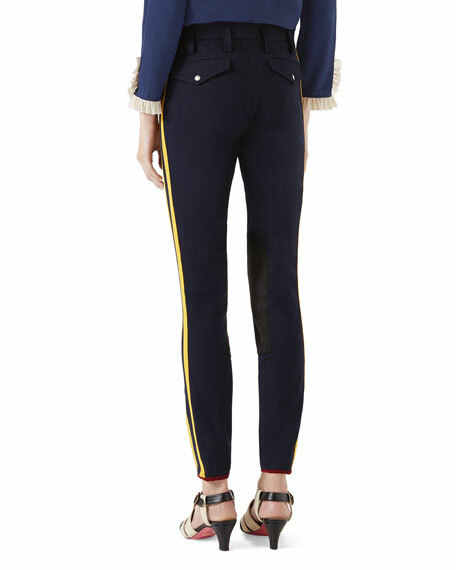 Zip detail on leg opening. For in-store inquiries, use sku #2397896.